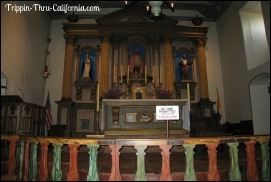 Founded in 1782, Mission San Buenaventura is the 9th and last mission founded by blessed Junipero Serra. 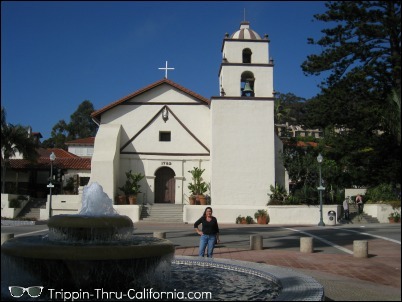 It was named after St. Bonaventure and is known as the “Mission by the Sea”. 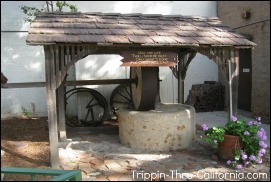 Situated along the California Pacific coastline, north of Malibu and south of Santa Barbara, west of Los Angeles. Click on any picture on this page to view a gallery of all the pictures on this page. 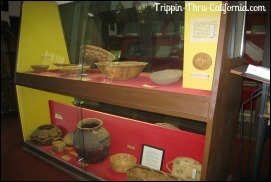 The founding of this mission was foreshadowed well over two centuries ago on the Spanish Isle of Mallorca, when a devout Franciscan priest , who was a brilliant scholar and professor of theology, earnestly prayed that he might be permitted to forsake his comfortable circumstances to take up the Lord’s work among the aborigines in the New World. The hoped-for answer to his prayers came on Palm Sunday, March 30,1749. 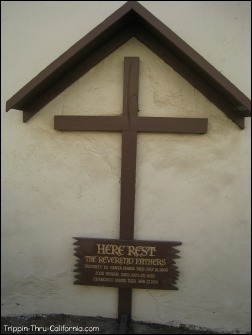 Thirty-three years and one day later the zealous priest, Fray Junipero Serra- who had been subjected to painful sufferings and several brushes with death during his missionary ministry – raised the Cross at "la playa de la canal de Santa Barbara" (the beach of the Santa Barbara Channel) on Easter Morning, March 31, 1782. Assisted by Padre Pedro Benito Cambon, he celebrated a High Mass, preached on the Resurrection, and dedicated a Mission to San Buenaventura (St. Bonaventure). 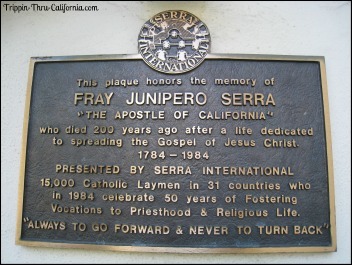 It had been planned as the third in the chain of twenty-one Missions founded by Padre Serra but was destined to be the ninth and last founded during his lifetime, and one of six he personally dedicated. 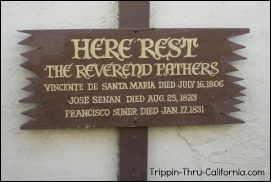 Under the direction of Padre Cambon, whom Padre Serra left in charge of the new Mission, a seven-mile-long aqueduct was constructed to bring Ventura River water to the Mission. With plentiful water the Mission was able to maintain flourishing orchards and gardens, which were described by English navigator George Vancouver as the finest he had seen. The Mission’s first church building, according to Vancouver, was destroyed by fire. The construction of a second church was abandoned because "the door gave way." In 1792 work was in progress on the present church and the small utility buildings which (with the church) formed a quadrangle enclosing a plaza. Although half finished in 1795, the church was not completed until 1809. 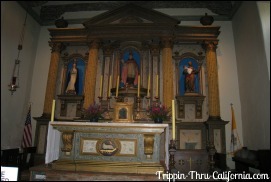 Dedication was held September 9 of that year and the first liturgical services took place September 10. 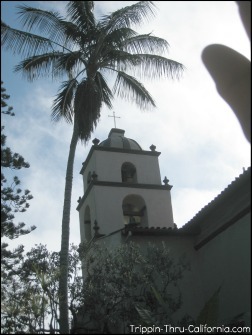 At about that time the San Miguel Chapel (present corner of Thompson Boulevard and Palm Street) and the Santa Gertrudis Chapel (Highway 33 near Foster Park) were completed. A series of earthquakes and an accompanying tidal wave in 1812 forced the padres and Indian neophytes to seek temporary shelter a few miles inland. 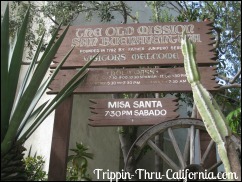 Six years later the padres and their flock had to remove sacred objects from the church and flee into the hills to elude a pirate who was pillaging the Missions but fortunately was headed off after a "bargaining session" at El Refugio in Santa Barbara. The Mexican government in 1834 issued a secularization decree divesting the padres of administrative control over the Missions. 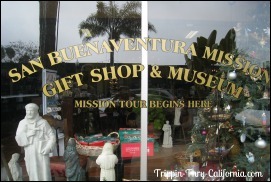 In 1845 Mission San Buenaventura was rented to Don Jose Arnaz and Narciso Botello and was later illegally sold to Arnaz. 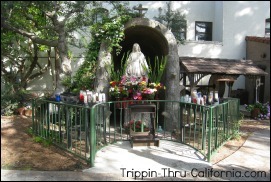 After California became a state of the Union, Bishop Joseph Sadoc Alemany petitioned the United States Government to return that part of the Mission holdings comprising the church, clergy residence, cemetery, orchard, and vineyard to the Catholic Church. The request was granted in the form of a Proclamation by President Abraham Lincoln on May 23, 1862. 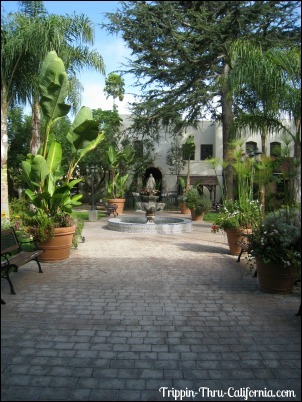 Because of severe earthquake damage in 1857 the Mission San Buenaventura's tile roof was replaced by a shingle roof. 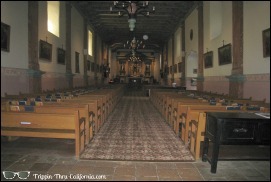 Some years later, in an effort to "modernize" the church, the windows were lengthened, the beamed ceiling and tile floor were covered, and the remnants of the quadrangle were razed. 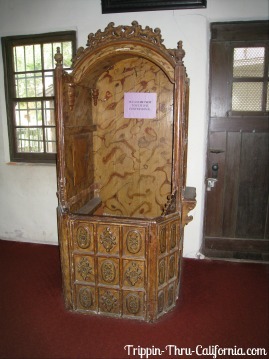 The west sacristy was removed to provide room for a school, which was not actually built until 1921. During the pastorate of Father Patrick Grogan the roof of the church was once again tiled, the convent and present rectory were built, and a new fountain was placed in the garden. In a major restoration under the supervision of Father Aubrey J. O’Reilly in 1956-1957, the windows were reconstructed to their original size, and the ceiling and floor were uncovered. 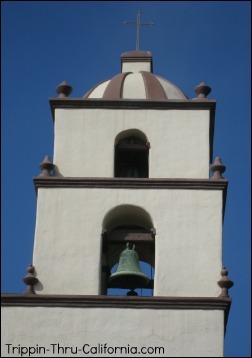 A long-time parishioner commissioned the casting of a bell with an automatic angelus device and donated it to the Mission San Buenaventura; it hangs in the bell tower above the four ancient hand-operated bells. 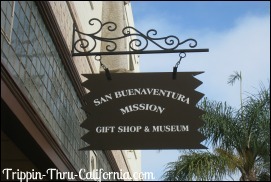 Mission San Buenaventura welcomes visitors daily from sunrise till sunset. 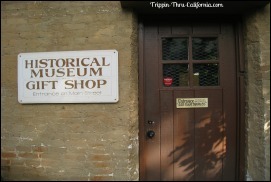 Except for major holidays, the Mission Museum and gift shop are open Sundays from 10am till 4pm and other days from 10am till 5pm. 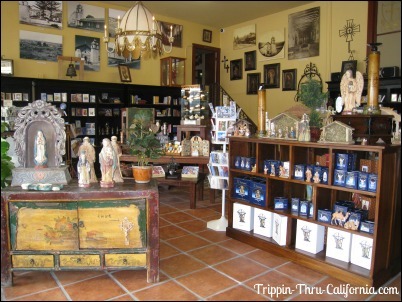 The Mission San Buenaventura Gift Shop offers a wide variety of Catholic/Christian devotional gifts and seasonal and collectible items for sale. 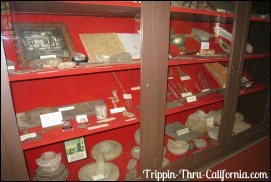 Some of the most popular items are those relating to the history of the Mission and California Missions in general. From the South Take theUS 101 North, to the California exit in Ventura. Turn right off the exit onto California Ave, and then left on E. Main Street. Park on the street in front of the Mission or turn right on Palm and left into the parking lot area next to the Mission. 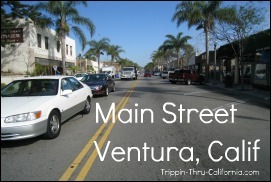 From the NorthTake the US 101 South, to the Ventura Ave exit stay straight off the exit to go on to S. Ventura Ave. Turn right on E. Main Street. 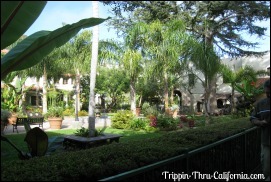 Park on the street in front of the Mission or turn left on Palm and left into the parking lot area next to the Mission. 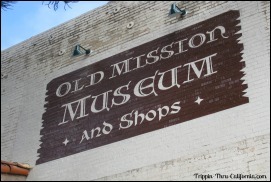 Have you been to this Mission? What did you think about it? Note: This information was accurate when I published it, but can change without notice. 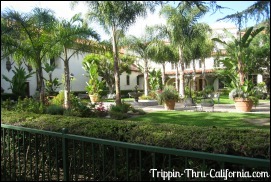 Please be sure to confirm all rates and details directly by calling 805-648-4496 before planning your trip.